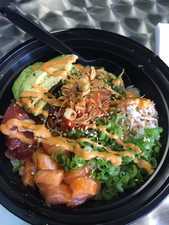 Ahi Poke Bowl. Image courtesy of Steve H. on Yelp.com. We all know the importance of eating healthy. Especially with the new year well underway, plenty of resolutions surround eating healthy and practicing healthier habits. However, it's about that time into the year where older, less healthy, habits start creeping back into life as the mundane routines kick in. Pizza becomes a more frequent meal, and greens get thrown to the wayside. Luckily, there are plenty of places in Mansfield that offer healthy -- and tasty! -- meals. We've compiled a few of them here for your consideration, so the urge to reach for the pizza can be at least a little bit resisted! Courtesy of the Shawarma Guyz Facebook. 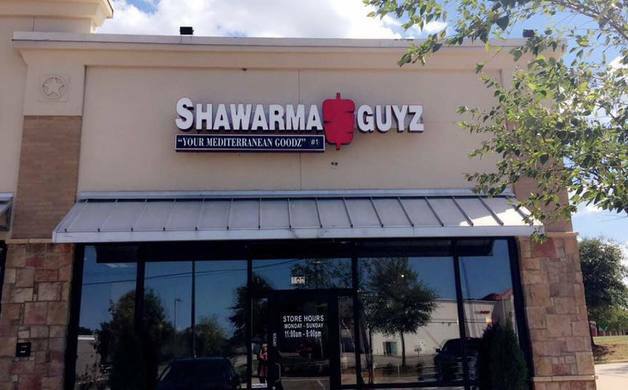 Shawarma Guyz is a restaurant located on a busy corner on Country Club Drive. They have a genuine taste of the Middle East, right here in Texas. Made with only the freshest ingredients daily, they have a promise to consistently deliver quality food. Their restaurant has an intimate and relaxed dining feel, offering a memorable food experience every time. Their Chefs have created a menu of dishes using the finest ingredients. Table service throughout for food and drinks. All the dishes on the menu are designed for sharing. 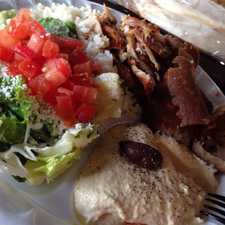 Healthy dishes include the Falafel Sandwich and the Chicken Shawarma, among so many others. To learn a little bit more about the Shawarma Guyz and the tasty, healthy dishes they offer, feel free to visit their website. Courtesy of the Cafe Sicilia Facebook Page. 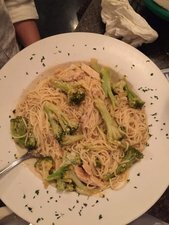 Healthier options for dishes include the Chicken Marsala, Capellini Broccoli and the Salmon Toscana. 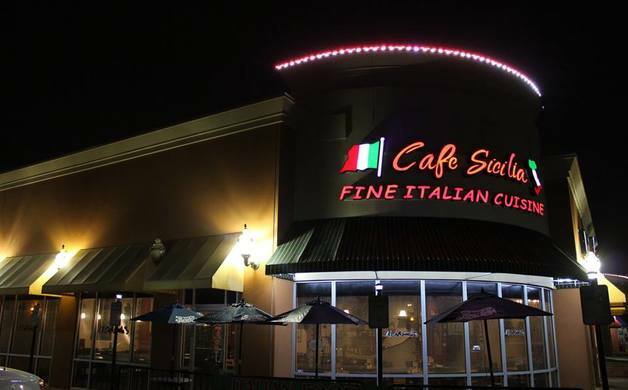 Visit Cafe Sicilia's website to see their full menu. Courtesy of Sprout's Springroll & Pho Facebook page. Springroll & Pho Facebook page. 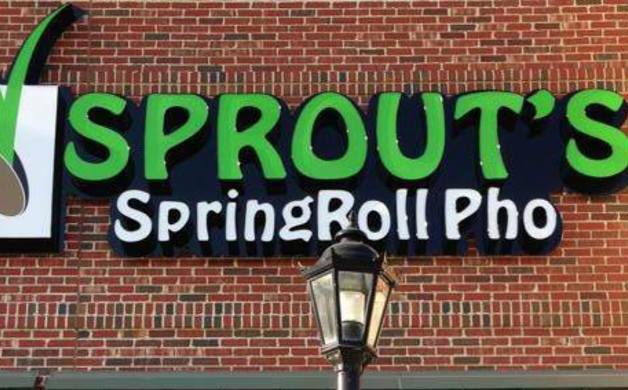 Sprout's SpringRoll & Pho offers a unique selection of Springrolls and the tastiest Pho (the Vietnamese Noodle Soup) in town. They don't add any MSG and use only the freshest vegetables and ingredients in their food. They have a casual, contemporary setting, as well as try one of their many flavors of Boba Tea. Sprout's Restaurant is proud to be family-owned and operated. Using only the finest ingredients and traditional recipes, they strive to bring creativity, flavor, and authenticity to every dish they create. 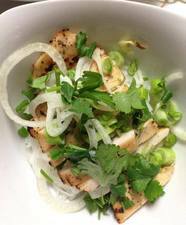 Some of their healthy dishes include the Vegetable Pho and the Grilled Chicken Salad. To learn more about their dishes, visit their website. Salmon & Tuna Poke Bowl. Owners, Chef Khang V. and his business partner Ronnie L. grew up together in Hawaii and are very familiar with how tasty and popular poke is. You can find them almost anywhere, from the neighborhood gas station to the local grocery store and even the big grocery chains. Now, it’s riding the biggest wave to the mainland with shops sprouting up across the country. Ahi Poke Bowl is proud to be the first in Texas to bring you the popular Hawaiian poke bowl dish using the freshest and highest quality of sustainable ingredients. Their approach is simple, “FRESH C.A.T.C.H.” Their poke bowl meals are: COLORFUL, AFFORDABLE, TASTY, CUSTOMIZABLE, & HEALTHY. Their menu as a whole is incredibly healthy, as well as a build-your-own, but some tasty combo favorites include the Salmon Tuna Poke Bowl and the Hawaiian Ahi Tuna Poke Bowl. 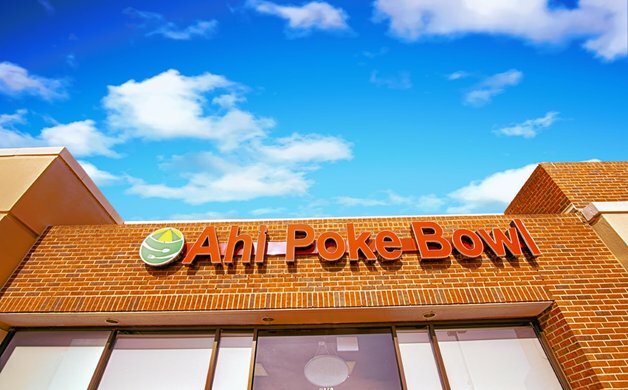 Visit Ahi Poke Bowl's website to learn more about their tasty menu. Combo Plate. Courtesy of Yelp. 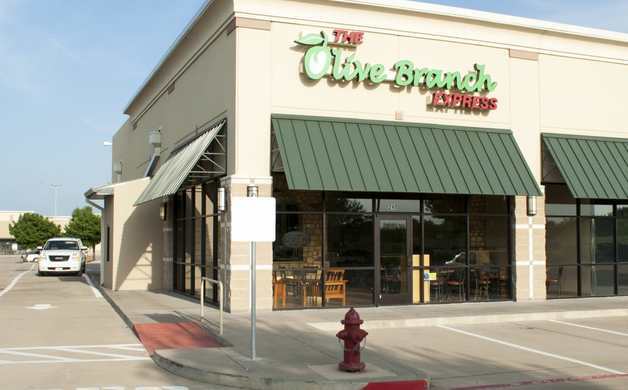 The Olive Branch Express in Grand Prairie, TX creates divine Greek and Lebanese cuisine for a delicious lunch or dinner everyone can enjoy, from gyros, falafel, dolma, tabbouleh, and more. Their dishes are made from the freshest and finest ingredients around, and many of their options cater to the fitness-friendly crowd such as their juicy lamb or chick gyros, falafel, dolma, fresh tabbouleh, and more. Don’t forget to grab some of their Lebanese tea to complete your meal. 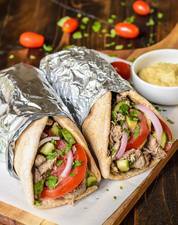 Some of their health-friendly dishes include their Combo Plates and their Gyro Bowls. To view their full menu of options, feel free to visit their website. Co-Owners and founders Susanne & Kay. "Mansfield's Own Health Food Store." Though Eterna isn't a restaurant, it's important to know that there are stores that are devoted solely to providing healthy foods and healthy alternatives to every day food items. They provide a with a wide array of quality foods and products, along with educational information & classes in a fun, positive and comfortable setting. Visit their website to find out more about their products and the classes that they offer.